Now a New York Times Bestseller! "A riveting and absolutely fascinating adventure that will blow your mind wide open!" -Dr. Rudolph E. Tanzi Deepak Chopra joins forces with leading physicist Menas Kafatos to explore some of the most important and baffling questions about our place in the world. What happens when modern science reaches a crucial turning point that challenges everything we know about reality? In this brilliant, timely, and practical work, Chopra and Kafatos tell us that we've reached just such a point. In the coming era, the universe will be completely redefined as a "human universe" radically unlike the cold, empty void where human life is barely a speck in the cosmos. You Are the Universe literally means what it says--each of us is a co-creator of reality extending to the vastest reaches of time and space. This seemingly impossible proposition follows from the current state of science, where outside the public eye, some key mysteries cannot be solved, even though they are the very issues that define reality itself: What Came Before the Big Bang? Why Does the Universe Fit Together So Perfectly? Where Did Time Come From? What Is the Universe Made Of? Is the Quantum World Linked to Everyday Life? Do We Live in a Conscious Universe? How Did Life First Begin? "The shift into a new paradigm is happening," the authors write. "The answers offered in this book are not our invention or eccentric flights of fancy. All of us live in a participatory universe. Once you decide that you want to participate fully with mind, body, and soul, the paradigm shift becomes personal. The reality you inhabit will be yours either to embrace or to change." What these two great minds offer is a bold, new understanding of who we are and how we can transform the world for the better while reaching our greatest potential. 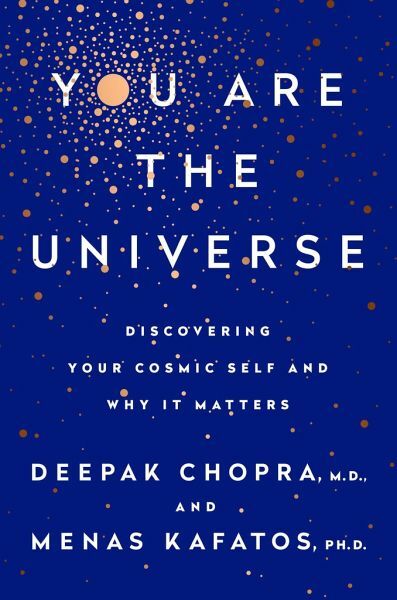 DEEPAK CHOPRA MD, FACP, founder of The Chopra Foundation and co-founder of the Chopra Center for Wellbeing and Jiyo, is a world-renowned pioneer in integrative medicine and personal transformation, and is Board Certified in Internal Medicine, Endocrinology and Metabolism. He is a Fellow of the American College of Physicians, Clinical Professor in the Department of Family Medicine and Public Health at the University of California, San Diego, Researcher, Neurology and Psychiatry at Massachusetts General Hospital (MGH), and a member of the American Association of Clinical Endocrinologists. The World Post and The Huffington Post global internet survey ranked Chopra #17 influential thinker in the world and #1 in Medicine. 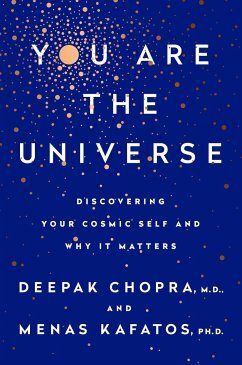 Chopra is the author of more than 85 books translated into over 43 languages, including numerous New York Times bestsellers. TIME magazine has described Dr. Chopra as "one of the top 100 heroes and icons of the century." MENAS KAFATOS is The Fletcher Jones Endowed Professor of Computational Physics at Chapman University, author of more than 320 refereed articles and fifteen books. He received his B.A. in Physics from Cornell University in 1967 and his Ph.D. in Physics from the Massachusetts Institute of Technology in 1972. He is the Founding Dean of the Schmid College of Science and Technology at Chapman University, serving as dean in 2009-2012. He directs the Center of Excellence in Earth Systems Modeling and Observations.